A Life Lost too Soon…..
Bill O’Donnell, was a kind man who was always there to lend a hand or ear for those who needed it. He was a talented drummer and loved to spend his free time boating on Nantucket Sound. Bill was a great father, not only to his own children, but to many others that came his way through the A&W; supporting them and instilling values of hard work and compassion and the importance of a good joke. He had a fondness for all creatures on this planet and spent a lot of time feeding the critters and birds of Cape Cod. Words cannot express how much he will be missed. 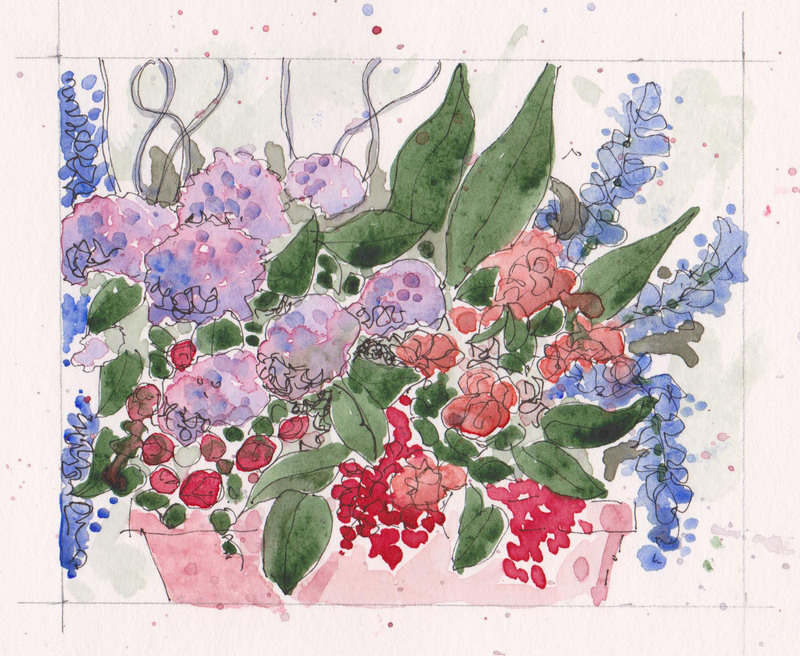 Flowers for Bill – Daniel Smith Watercolors in a Stillman and Birn Beta Sketchbook.